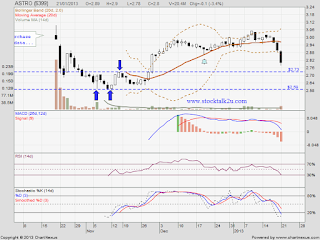 ASTRO retrace down from RM3.05 high. 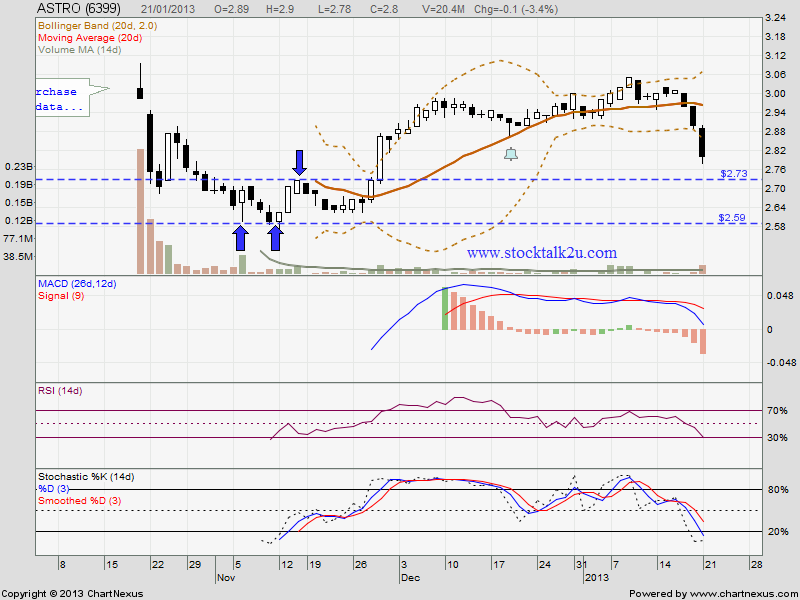 Immediate support @ RM2.73 level. Subsequent support @ RM2.59 level. However, if able form double bottom & rebound, it's an opportunity.